See scan - absolutely perfect condition. 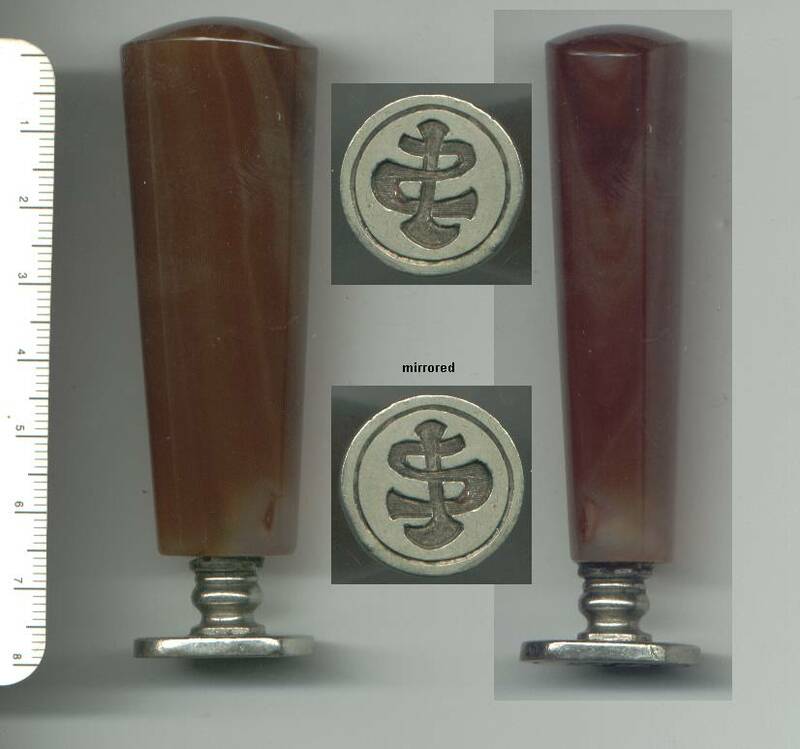 Great piece made out of one solid perfectly polished agate precious stone (very heavy and big - see the measures...), and sterling silver seal base. 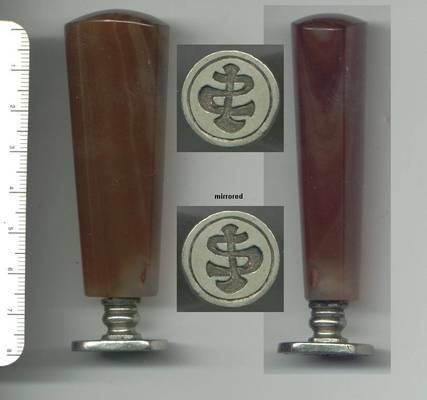 It has a letter S or a stylized snake and something else I cannot figure - to me it looks like a polo stick, but it might be all sorts of other things. Extremely nice and super fancey piece for its gae and time. Great collector item.